What does choosing a new minister have to do with my life? What does choosing a new minister have to do with what is happening in our shared world? Please join our guest preacher Dr. Leon Spencer (bio below), Pastor Jacqueline, Worship Associate Katrinca Ford, your Search Committee, and pianist Geoff Ullerich and Ted Curran and Band as we embrace what Dr. Spencer has to say about, loving, building unity and living into our aspirations in the search process. Dr. Spencer states that the search process is like a family dance; blended, busy, beautiful and blessed. Join us for worship and a sacred dance. Bring your dance partners and let us covenant together to engage a search process that will result in calling THE minister that will support us in co-creating a world that is good, just and nourishing for all. We here at First Unitarian Church of Oakland look forward to being with you. Leon Spencer’s work on behalf of anti-racism and anti-oppression efforts for Unitarian Universalist congregations began in 1985 when he helped establish the Black Concerns Working Group. 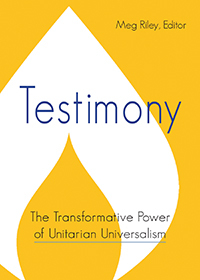 He has participated in the Jubilee Working Group, the Journey Toward Wholeness Transformation Team, and the Diverse and Revolutionary Unitarian Universalist Multicultural Ministries known as DRUUMM. He was appointed Interim Co-President of Constituent Outreach of the UUA on April 10, 2017. He is a co-author of Arc of the Universe is Long; Anti-Racism and the Journey from Calgary. He served as both President and UUA Trustee from the TJ District. Dr. Spencer is the recipient of The Distinguished Service Award to Unitarian Universalism and was appointed as a Co-President of the UUA for Constituents Services.